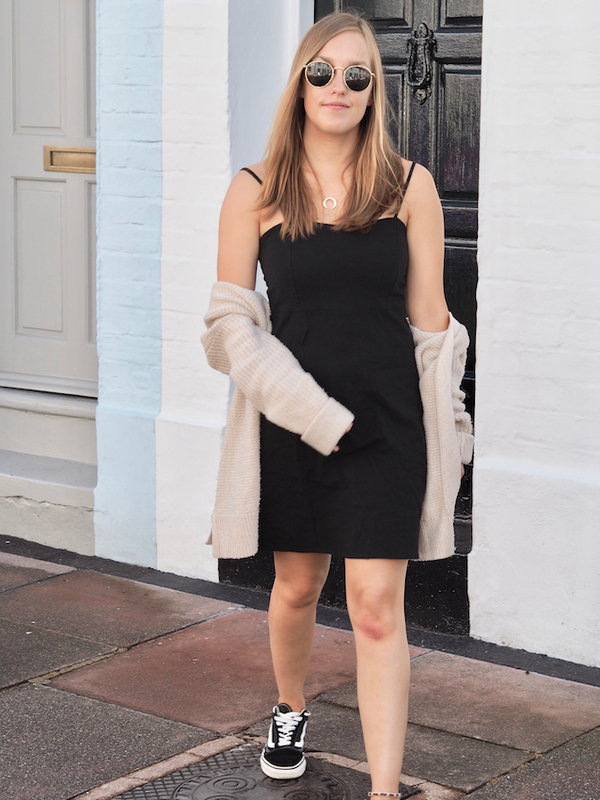 So we've all seen that famous Urban Outfitters LBD that every blogger is styling and I'd be lying if I said I hadn't fallen inlove with it also, but alas the price tag was however was stopping our relationship. So when I took a trip to london and fell into Brandy Melville like I have to every time I take a visit and I am so glad I did because I would not have found this dress, which is practically the same as the UO one and I know that I could not leave without it, especially as it is nearly half the price of the other one how could I not say no! I feel it really is the perfect LBD, as you can see I've styled it for a casual day time look, but through on a pair of heels, and a jacket or killer lipstick and your ready for a night with the girls (note to self, style and snap photos in both next time) The fit is just perfect with that slight A-line cut and spaghetti strap its just gorgeous and so simple. I decided to style it with this gorgeous necklace from Stella & Dot. I was kindly gifted it and also went to a recent event they held in Brighton, which was amazing! They'd styled the place so gorgeously and the girls were so so friendly it was so nice, not to mention the gorgeous products they had out which are to die for! But yes, this necklace. doesn't it just remind you of a Missoma piece. I loved that the chain is gold but the horn is silver it's such a difference and for a girl that doesn't wear much gold its a lovely way for me to get to like it. I just thought it was such a simple piece to dress up the dress. Love how you styled this with a chunky (and cozy) knit! I can't wait to wear these again, it's been soo hot in Vancouver! I love Brandy Melville they always have cute stuff! I love how you've paired it with vans to give it a more causal look!